Beautiful Newly Renovated Home In a Desirable Neptune Neighborhood with Upgraded Finishes. This Turn Key, Split Level Home Features a First Floor Master Suite, with an Over Sized Walk In Closet: Master Bathroom Including Double Sinks and a Generous Sized Walk In Shower With Bench Seating. 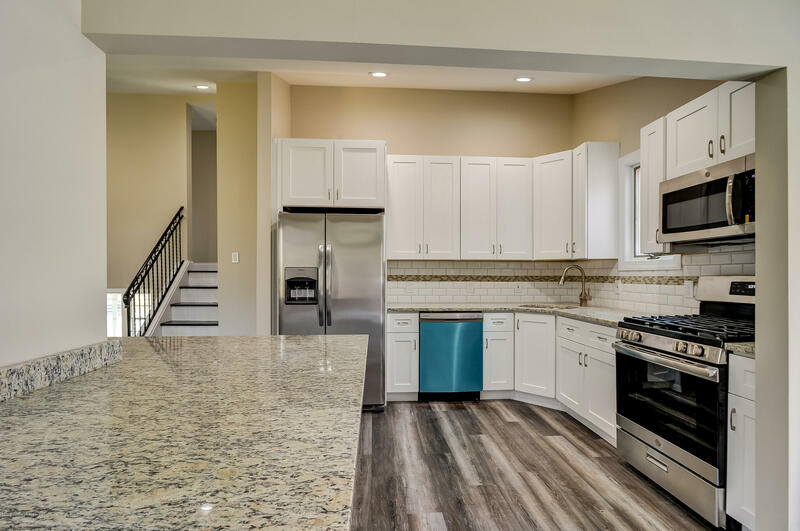 The First Level also Provides an extended Living Area or Private Den Off the Master and a Half Bath.Main Floor Boasts Vaulted Ceilings In The Family Room and a Dynamite Kitchen with High End Stainless Steel Appliances and Premium Granite Counter Tops. Large Size Dining Area flows out to Custom Deck by way of New French Doors. Third Floor includes 3 Generous Sized Bedrooms and An Additional Full Bathroom with Shower/Tub.